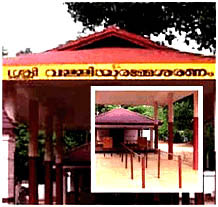 Located in north Wayanad, 34-km away from Mananthavady.it is an ancient temple dedicated to Lord Vishnu on the side of Brahmagiri hill in Kerala.Classical Kerala temple architecture. Inscriptions in this temple date back to the period of Bhaskara Ravi Varma I (962â€“1019 CE).God-blessed setting all around .The only remaining attraction is the footsteps of Vishnu, Vishnupad. Its enthralling and scenic beauty once imbibed can never be erased from the mind. Papanashini (sinâ€™s destroyer): There is an interesting tale behind the stream attaining the power to ward off sins A short walk from Thirunelli temple is the clear mountain spring known as Papanasini. A ritual dip here is believed to wash one away of all worldly sins. tank here, which curiously enough never dries up. 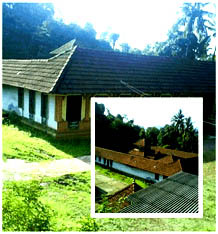 Dedicated to the Lourdes Matha, Pallikkunnu Church was established in 1905 at the initiative of a French missionary Fr. Jeffrine.Â An interesting aspect of this church is that it has several rituals and practices similar to those prevalent in Hindu temples. The annual 2 week Perunnal festival in early February draws large throngs of devotees from other parts of Kerala, as well as outside. This is the only known temple dedicated to Lava and Kusha, the sons of Lord Rama. Local legends connect this region with many important episodes from the Ramayana.